The 25 April Nepal earthquake has killed more than 7,000 people and destroyed hundreds of thousands of homes. The deadliest earthquake in Nepal since 1934, the tremor killed at least 19 climbers and crew on Mount Everest and reportedly produced casualties in the adjoining countries of Bangladesh, China, and India. In response, scientists at The Ohio State University and the University of Minnesota are directing supercomputing resources to aid in the disaster relief. On 25 April, a violent earthquake struck central Nepal, killing more than 7,000 people and destroying hundreds of thousands of homes. The deadliest earthquake in Nepal since 1934, the tremor killed at least 19 climbers and crew on Mount Everest and reportedly produced casualties in the adjoining countries of Bangladesh, China, and India. In response, researchers at the US Ohio Supercomputer Center (OSC) are devoting supercomputing resources and high-resolution satellite imagery this week to help with disaster relief and longer-term stabilization planning efforts in Nepal. Two research teams - one at The Ohio State University and another at the University of Minnesota in the US - are working quickly to employ Surface Extraction for TIN-based Searchspace Minimization (SETSM) software. Ordinarily, the scientists would use this technology to study glaciers, but this week they are donating their science to produce high-resolution, 3D digital surface maps for use in the Nepalese relief effort. The OSC is providing the computing power for these data-intensive calculations. Two university research teams are employing satellite imagery and supercomputers to produce high-resolution images to aid the Nepalese earthquake relief effort. This image is a hillshade-rendered DTM image of the Kathmandu Valley, Nepal, created by SETSM software. Courtesy OSC. The SETSM software is a fully automatic algorithm for deriving the surface maps, called digital terrain models (DTMs). The DTMs are created from applying the algorithm to sets of overlapping pairs of high-resolution satellite images acquired by colleagues at the Polar Geospatial Center at the University of Minnesota. The satellite images are acquired from the Worldview-1 and Worldview-2 satellites, owned by DigitalGlobe Inc., and are licensed through the US National Geospatial-Intelligence Agency's NextView program. The Polar Geospatial Center will distribute the final products on the organization's website. "These data are critical for a range of uses, including mapping infrastructure, planning rescues and assessing slope stability," explains Ian Howat, an associate professor of earth sciences at Ohio State and a principal investigator in the Glacier Dynamics Research Group at the university's Byrd Polar and Climate Research Center. 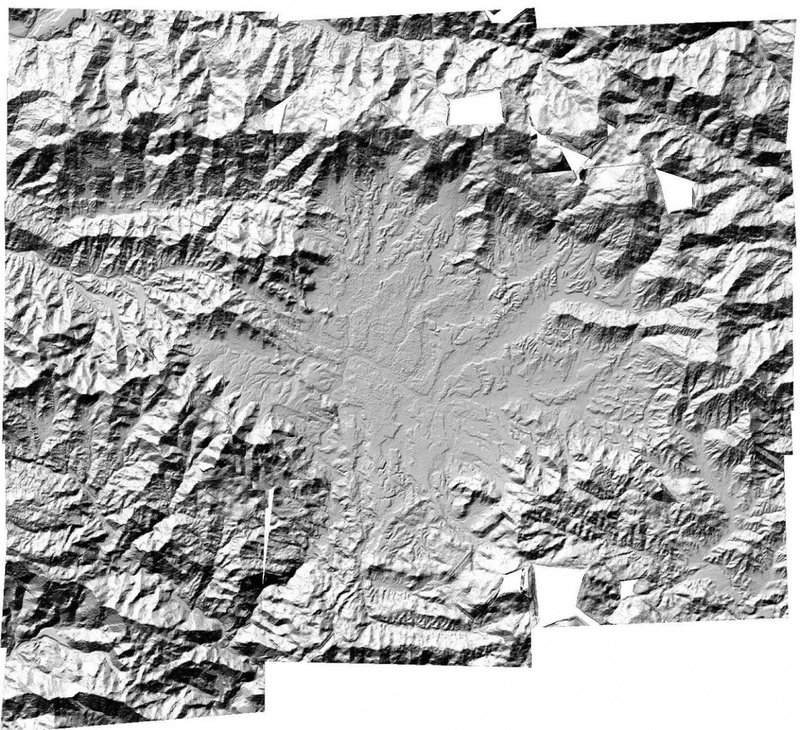 "Thus far, we have produced a mosaic that models the Kathmandu area with measurements at eight-meter intervals." "To support this effort, we have granted the SETSM team priority queuing and an emergency allocation of up to 60,000 core hours for use of our flagship supercomputer system, the Oakley Cluster," says Brian Guilfoos, high-performance computing client services manager at the OSC. 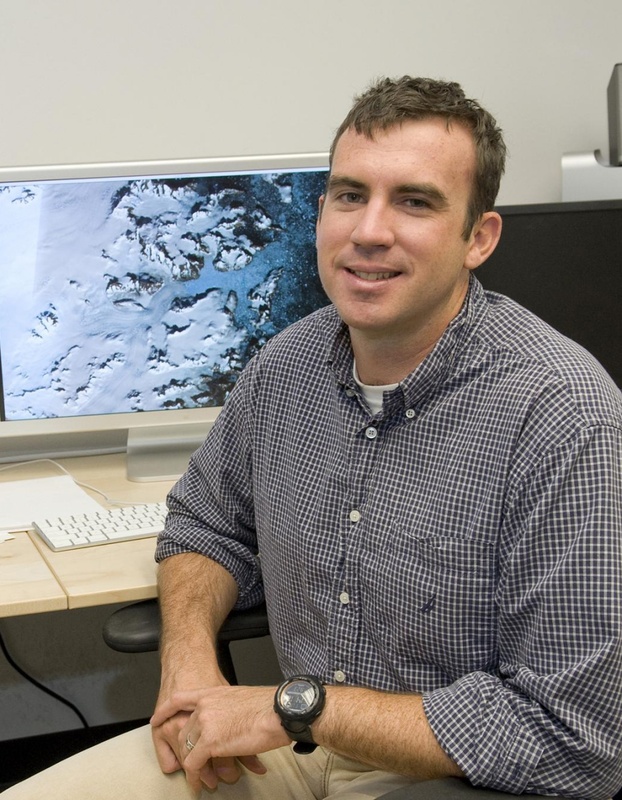 Ian Howat, associate professor of earth sciences at Ohio State and a principal investigator in the Glacier Dynamics Research Group at the Byrd Polar and Climate Research Center. Courtesy OSC. "Besides improving on this DTM, we will be processing the entirely useable archive of Worldview stereo imagery over Nepal, starting this week, in order to expand coverage," says Myoung-Jong Noh, a member of the Glacier Dynamics Research Group at the Byrd Center and the lead author of a scientific paper on SETSM in the journal GIScience & Remote Sensing. The DTMs are built using photogrammetric techniques in which common features are identified in each image and are used to model the relative three-dimensional position of the terrain. These DTMs are constructed without ground control and rely on the satellite-positioning model to locate the surface in space. The accuracy of the DTM is expected to be within several meters in the vertical dimension. The initial version of the Nepal mosaic was produced automatically and, therefore, has some small errors and edge artifacts that will be improved in the days ahead. In partnership with the Polar Geospatial Center, the Ohio State group has embarked on a massive implementation of SETSM to derive high-resolution DTM mosaics of large areas, such as the Greenland Ice Sheet. SETSM is currently installed and running on high performance computing systems at the OSC, the US National Science Foundation's Extreme Science and Engineering Discovery Environment (XSEDE) and the National Aeronautics and Space Administration (NASA). SETSM was developed from a NASA grant.